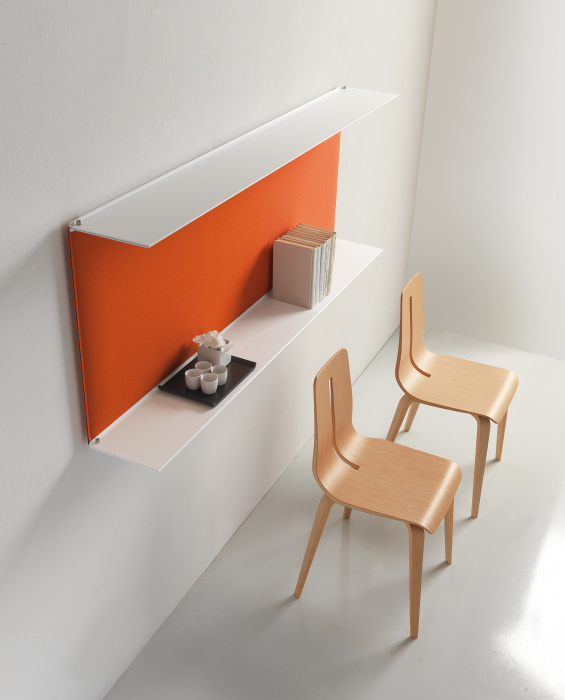 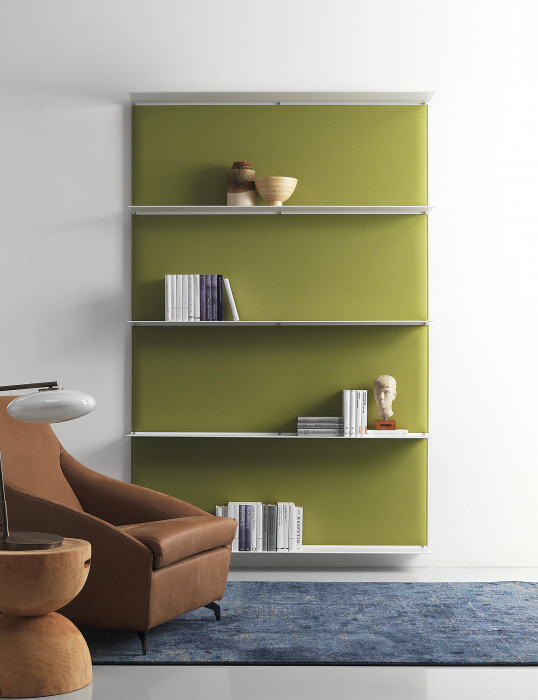 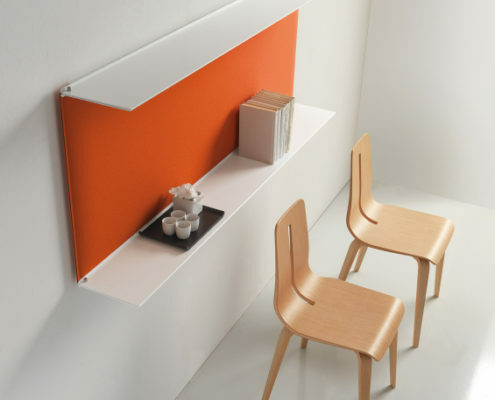 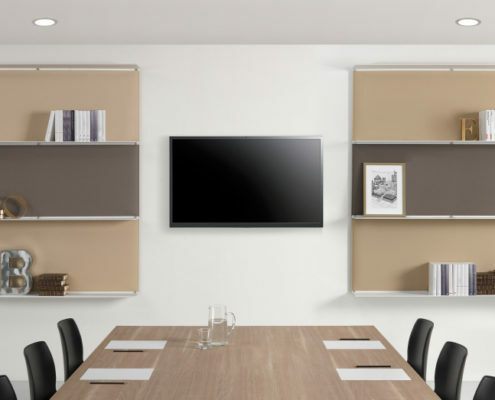 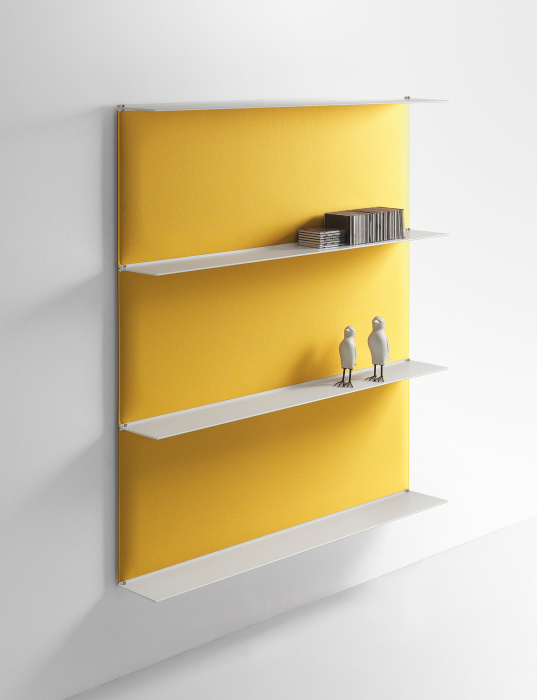 BLADE™ designer Lorenzo Damiani introduces a product with dual functionality: a modular shelving system designed to acoustically correct interiors while simultaneously blending into the environment. 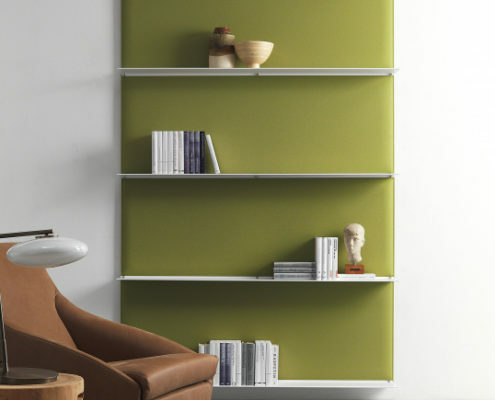 Back panels consist of Snowsound® panels with patented technology to deliver maximum absorption for any room. 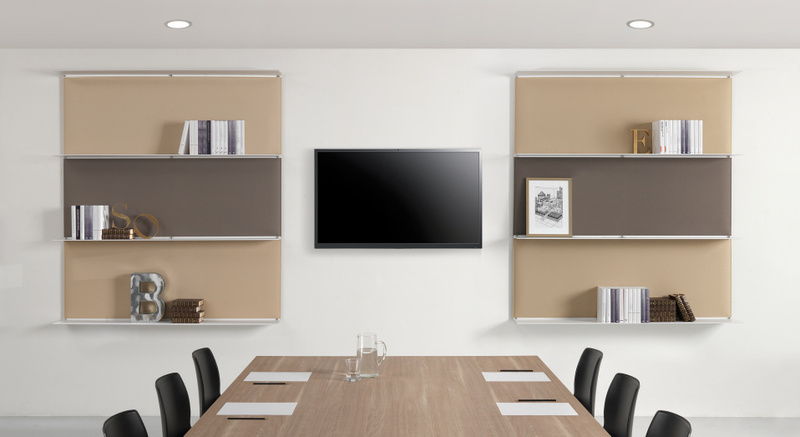 Bent metal shelves with slim proportions, like a knife-blade, dress the panels and invisibly anchor them to the walls for a sleek, minimalistic look.